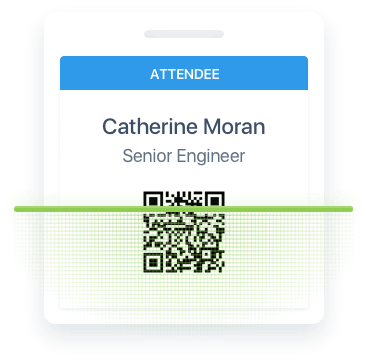 From start to finish we’ve eliminated the guesswork to make building your event app straightforward and speedy. Make it your own. 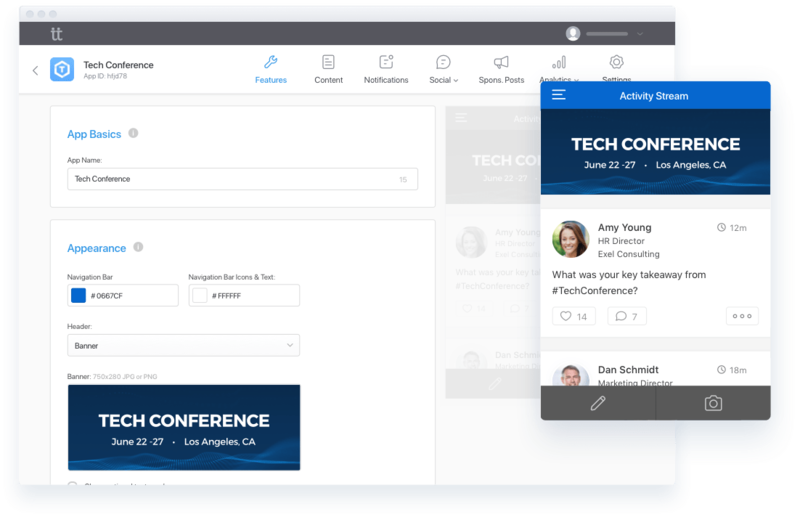 Drag and drop the sections you need from a rich selection of event features to create the framework of your custom-branded app. Uploading your content is quick and painless. Enter manually with ease using our intuitive interface or add content in bulk from Excel or using our open API. No guessing games. See how amazing your new app looks right in your browser as you build it. Make changes and Attendify instantly updates the preview, what you see is what you get. Go from start to finish in one week. Submit your app (don’t worry, you can still make changes afterwards). 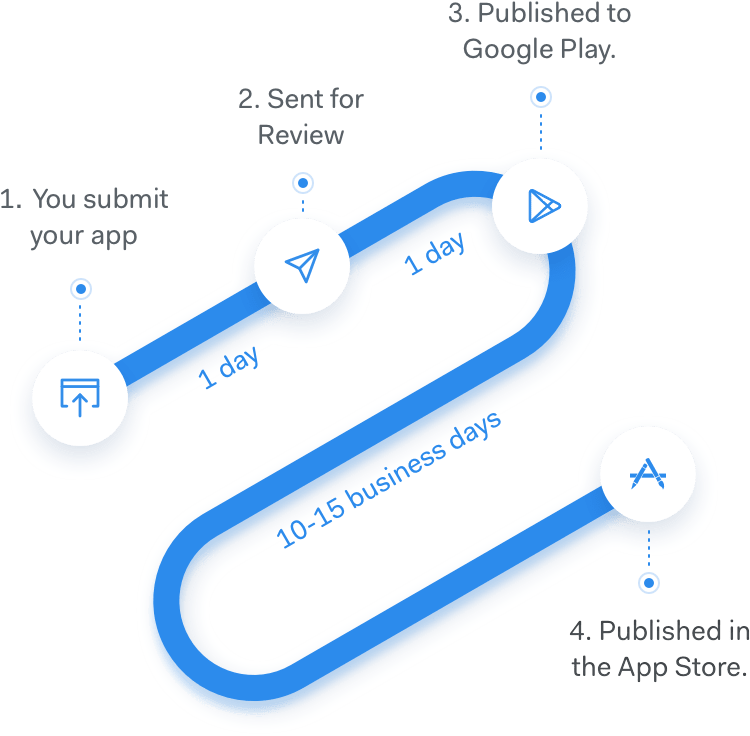 We’ll send your app for review and it will be published in the app stores in a few days. That’s all there is to it. 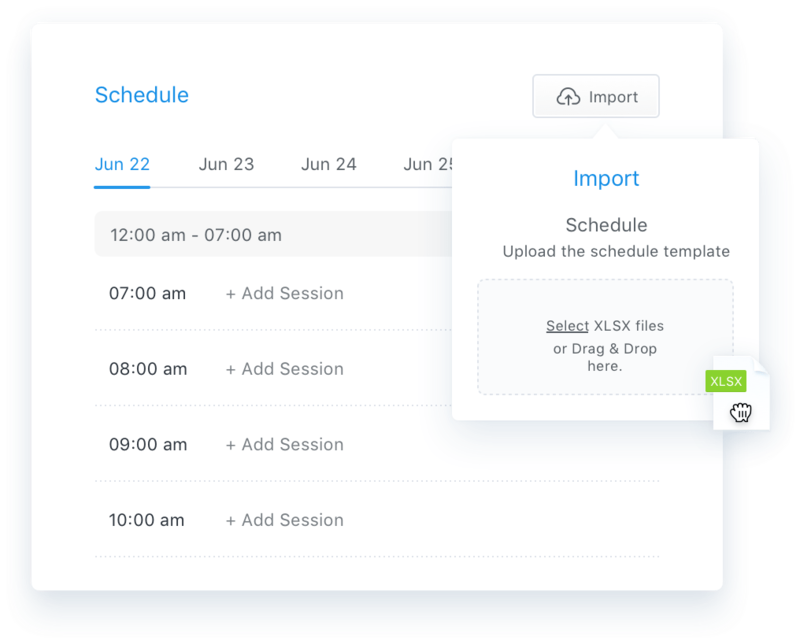 Our user-friendly dashboard makes updating and tracking your app simple. No waiting. Unlimited content updates instantly. Got news? Last minute changes? Send instant alerts to participants. Measure participant and user engagement. 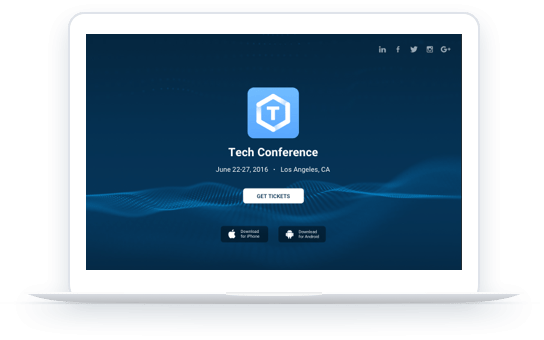 Convert your event app into a sleek website in seconds and keep them both updated automatically. Empower exhibitors with innovative lead capture and demonstrate event ROI.